The firefighters and police officers of Phoenix must be ready to respond to emergencies at a moment’s notice. They are called upon to make quick, life-saving decisions to keep the public safe. A career in public safety can be extremely exciting, demanding and rewarding. The Phoenix Fire and Phoenix Police Departments are looking for highly motivated, qualified, fit and diverse women to join the team. Both departments have long been recognized as national leaders in public safety. Attracting only the most qualified candidates allows Phoenix to provide the highest level of service. 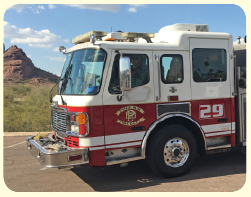 Phoenix aims to hire officers and firefighters who directly reflect the community, allowing residents to establish a better connection with first responders. 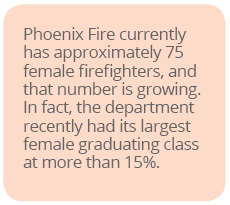 Explore this page to meet women who recently joined the Phoenix Fire and Police Departments. 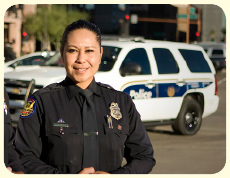 Interested in a career as a Phoenix Police Officer? 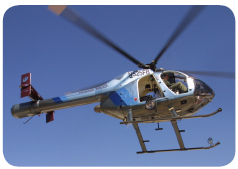 Call our recruitment hotline at (602) 534-COPS (2677) or visit our recruitment web pages at Phoenix.gov/police/joinphxpd. The Phoenix Police Department focuses on five areas: community engagement and outreach, crime suppression, technology, training, and hiring. The hiring process includes a written and physical test, a background check, and an interview. The process can take three months to a year. Visit our recruitment web page to learn more. 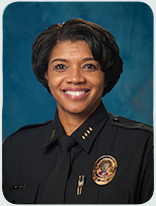 Toni Richardson was a police officer in Georgia and California before joining the Phoenix Police Department. "I did not like California because it was not as warm as I thought it would be. A friend of mine that I was in the military with was living in the Valley and she convinced me to come to Phoenix," Toni shared. Her love of the warmth made Phoenix the perfect move. Toni was working as an overseas contractor and a corrections officer when she realized that she was interested in becoming a police officer. In the future, Toni would love to work at the academy and have the ability to teach recruits, inspiring them to be good police officers. Annie Batway dreamed about being a cop when she was little. It was a career she knew she needed to chase after. "It was something I thought about every day before my feet hit the ground each morning, and something I thought about when I would put my head on the pillow to go to sleep at night," Annie said. Prior to becoming an officer, Annie had worked as a bartender and a waitress. 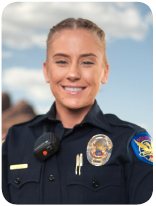 She grew up in San Francisco and moved to Phoenix to start her career with Phoenix Police. Annie chose Phoenix because she knew she wanted to be in a big city. Annie hopes one day to become a homicide detective. She is also interested in possibly working in the K-9 Unit or undercover. 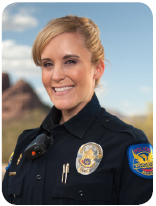 Jaqueline Walsh was an attorney before becoming an officer with the Phoenix Police Department. She went to law school hoping to one day get into federal law enforcement but life took her in another direction. Jaqueline started a family after law school. When she saw that Phoenix was hiring, she thought it would be a good opportunity to fulfill her lifelong dream of being in law enforcement. "I wanted to do something that helped the community in a real way," said Jaqueline. "I want a career that is dynamic and challenging." A native of the Valley, Jaqueline grew up in Tempe, Arizona. She hopes to take advantage of all the opportunities the department has to offer. She would like to test for detective and promote from there. Jeri Williams’ law enforcement career is now full circle as she returns to her hometown roots and becomes the new Phoenix Police Chief. Born and raised in west Phoenix, Jeri Williams graduated from Maryvale High School in 1984. 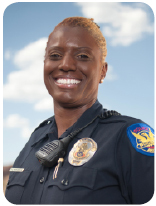 She began her law enforcement career as a police officer trainee with the Phoenix Police Department in 1988 and graduated from the Phoenix Police Academy on March 17, 1989. Jeri rose through the ranks of the department as an officer with a walking beat and bicycle beat and through the years was promoted to sergeant, lieutenant and commander. In 2009, after 20 years as a Phoenix police officer, Jeri became an assistant chief over Patrol Operations in south Phoenix. In 2011, Jeri became the chief of police in Oxnard, California, overseeing approximately 400 sworn and non-sworn employees and the management and operation of a $50 million budget. 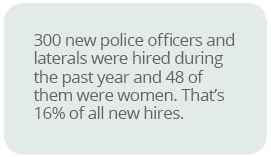 On October 28, 2016, Jeri Williams became the chief of police for Phoenix — the sixth largest city in the United States — overseeing a department with nearly 4,000 employees and seven precincts that cover more than 500 square miles serving 1.5 million residents. 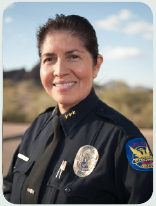 She is also the first female to serve as police chief for Phoenix. Jeri received a Bachelor of Arts from Arizona State University in 1988, a Master of Education from Northern Arizona University in 1999 and is a Doctoral Candidate with Northern Arizona University. Sandra Renteria is a second generation native of Phoenix. She has been an officer for over 28 years with the past 21 years serving the city of Phoenix. She has worked in a number of precincts, and in the Drug Enforcement, Tactical Support, and Family Investigations Bureaus. She has received several commendations. Sandra strives to continue to break barriers for females. She was the first Hispanic female hired as a Deputy Sheriff for the Maricopa County Sheriff’s Office and became the first Hispanic female to be promoted to sergeant for the Phoenix Police Department in 1997. She was also the first Hispanic female to be promoted to lieutenant in 2003 and commander in 2007. Want to make a difference in your community as a firefighter? 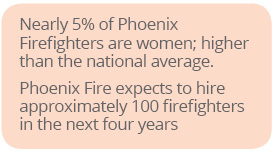 Call our recruitment line at (602) 534-FIRE (3473), visit Phoenix.gov/fire or email recruitment.pfd@phoenix.gov. Firefighters must be ready to respond to emergencies. Incidents vary widely, and often require intense, physically-demanding work. Firefighters also provide medical care. Teamwork, decision making and problem-solving skills are essential. The hiring process includes a written test, oral interviews, a physical ability test, a background check, and a medical physical. 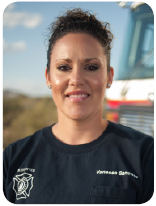 Vanessa Sanchez spent seven years in the Phoenix Fire Department’s Regional Dispatch Center as a 9-1-1 operator and dispatcher. She realized that being on the other side of the phone in an emergency wasn’t as fulfilling to her as being on the scene so she decided to become a firefighter. "I wanted to be more hands-on with our customers and I wanted to be a role model for my family," Vanessa said. She currently works on Engine 13. One day she hopes to go through the medic class and interact more with the Valley Hispanic Bomberos which is the affinity group that encouraged her to follow her dream to become a first responder. Vanessa enjoys spending time with her family. 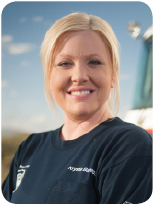 Courtney Morgan was a firefighter for the Buckeye Fire Department for nine years before coming to work for Phoenix Fire. She wanted to work for Phoenix Fire because of its renowned reputation, and the city’s benefit package. "I love the comradery and the fact that I get the chance to help my community every day," Courtney shared. A native of Phoenix, she now works on Engine 41 which is a hazardous materials truck. In the future, Courtney hopes to extend her skills as a firefighter, and to take the test to become a paramedic. 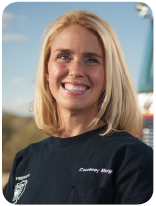 Courtney is married to a Phoenix firefighter and has three small children. 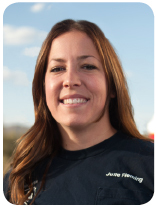 Julie Fleming worked for Nike after graduating from the University of Colorado in 2012. While she was in Colorado, she did an internship at the Boulder Fire Department. "The Chief asked me, if I could work for any fire department in the country, which one would I choose," said Julie. "The choice was easy. Phoenix Fire." Julie moved to Phoenix to apply, and she’s now working at a very busy Phoenix Fire station on Rescue 11. Julie hopes to continue to get better at her craft so she can become a well-rounded firefighter. She is married to a Phoenix firefighter and has three dogs that keep her busy. Krystin Barreda was born and raised in Phoenix. When she graduated high school, she wasn’t sure what she wanted to do. She researched the EMT program at Paradise Valley Community College and realized how interesting the curriculum was, so she enrolled. Krystin eventually earned an Associates degree in Fire Science. "Being a firefighter is everything I’ve ever wanted to be, I just didn’t know it at the time. I love helping people and I love being active," said Krystin. "Being a firefighter gives me the opportunity to help the community and give back to everyone who helped my family through the years. It’s the most rewarding decision I’ve made and I am so happy and proud to be a Phoenix firefighter. I am also a mother to a two-year-old and have been married for five years. I plan on being a paramedic and engineer in the future, and want to be a captain someday." Being a firefighter allows Krystin time to spend with her family and friends. A native Phoenician, Kara Kalkbrenner joined Phoenix Fire in 1985. She started as a volunteer cadet at age 16, learning the ropes at the fire stations. At that time, there were only around 20 female firefighters at the department. Now, there are about 75, and that number is growing. 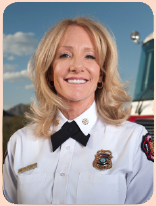 She quickly rose through the ranks, and became the first female fire chief in Phoenix in 2014. Kara is one of only six women managing large city fire departments in the country. Kara and her husband Kevin — Phoenix’s Director of Emergency Management & Homeland Security — enjoy traveling and spending time with their extended family. Campaign produced by the City of Phoenix Communications Office, the Phoenix Police Department Public Affairs Bureau, and the Phoenix Fire Department Public Affairs Division. © City of Phoenix. All rights reserved. No text or images may be reproduced without written permission from the Communications Office.